You want your child to have access to the best education possible, but sadly, it is often a struggle for children with medical complexities to access the tools they need to succeed. As a parent, it’s important to enlighten yourself on your child’s rights to an education and how you can ensure they receive everything they need in a school setting. That’s why we have compiled this information about the laws around education for children with special healthcare needs. 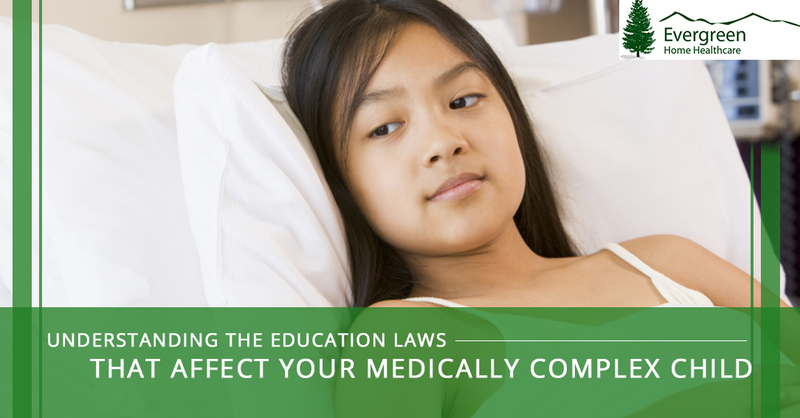 How Does the Law Define “Children with Special Healthcare Needs”? There is no one universal definition of children with special needs. In general, this term is used to describe children who need special therapies, procedures, or medical equipment to sustain or improve their lives while at school. 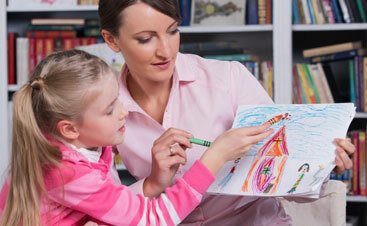 Because each child has their own unique needs, the precise educational program is individually designed. This is also true of their individualized health care plan (IHCP). Previously, up until the 1980s, children with disabilities and medical complexities were institutionalized to care for their medical and educational needs. However, today, the movement towards deinstitutionalization and the high costs of extended hospital stays means that more children with special needs are being treated and educated in community settings. This is why laws have been put in place to support children with special healthcare needs in public schools. Children with special healthcare needs are protected by the Individuals with Disabilities Education Act (IDEA), which has completely changed the way children with special needs are educated. IDEA offers children the right to “free appropriate education” in the “least restrictive environment” that meets their needs. The “least restrictive environment” is one in which children with disabilities are learning alongside children without disabilities, and are only put in special classrooms if the disability is such that they cannot learn in a traditional classroom setting. The Education for All Handicapped Children Act (EAHCA), the predecessor to IDEA, ensured that children with disabilities everywhere are entitled to a public education. Since IDEA was instituted, the number of young people with disabilities enrolled in school has steadily increased. For example, in 1977, around 3.7 million students were receiving services under IDEA. By 2006, that number was 6.7 million. Is My Child IDEA Eligible? A team of multidisciplinary professionals, including at least one educator, determines whether or not a child qualifies for IDEA. Once it is determined that they do, an IEP is developed. The individualized education program, or IEP, offered to your child under IDEA contains the special education and other services that the child will receive, and how much the child will be able to participate in traditional classroom programs. The school district must provide the IEP as a “road map” for the child’s education. 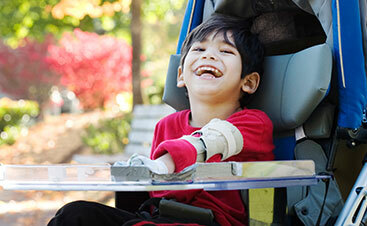 Your child is also covered under Section 504 of the Rehabilitation Act of 1973. This federal law was designed to protect the civil rights of all people with disabilities. Another who has a “physical or mental impairment that substantially limits one or more major life activities” cannot be denied access to any federally funded programs. Impairments that are protected under Section 504 includes a wide variety of disabilities and health conditions, such as attention deficit, cerebral palsy, epilepsy, and diabetes. These conditions qualify as “substantially limiting” when they restrict any day-to-day life activity, such as walking, hearing, speaking, breathing, or learning, when compared to peers. While anyone protected by IDEA is also protected by Section 504, not everyone who is protected by Section 504 is protected by IDEA. Substantially more children are eligible under Section 504 than IDEA. Schools must have a process in place to identify students who may qualify for Section 504. In general, if a teacher or parent believes that a child qualifies, they should inquire to the school what the exact process will be. To determine if a child qualifies for Section 504, a group of individuals who know the child, including their teacher, will assess their performance based on the average student. This will help them assess whether or not their impairment limits their abilities or requires accommodations to ensure they have fair access to education. They might consider how consistently they need additional time on homework and tests and how often their behavior interferes with their performance. Once a child has been determined to be eligible for Section 504, a plan is developed based on the specific needs of the student. If information, later on, indicates that a student may be eligible for IDEA, the parent may be referred to an IEP team for assessment. At Evergreen Home Healthcare, we understand that finding access to the right programs for your child can be frustrating. We hope that this information helps you to connect your child with the education they need to thrive. 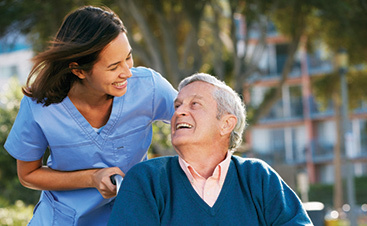 If you are looking for pediatric home health care in Denver, contact us to get started with one of our compassionate and qualified caregivers.